It’s another milestone for InterACT! Last month, we passed 25,000 page views. Then, we were nominated in the 2010 Edublog Awards, in the categories of Best Group Blog, and Best New Blog. 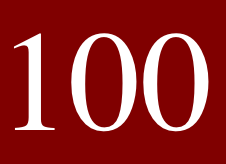 And now, I’m pleased to offer you the 100th blog posting at InterACT. It’s been an interesting ride so far for Kelly, Martha, and me. I’d like to think that the three of us, along with a few guest bloggers, have made a pretty good start of it here in the blogosphere. Kelly Kovacic holds the title of California Teacher of the Year for 2010, and in that capacity, she’s had the opportunity to speak to many audiences, travel to Japan with her fellow 2010 California Teachers of the Year, and meet the President of the United States. Her blogging on InterACT has helped us see the educational landscape through her eyes, and she has inspired others reflect on the reasons that we teach: her post “Why I Teach – in a Minute and a Half” spawned some similar (WA) efforts (AZ) around the country (MI). So, from the international level right down to the most personal, Kelly has contributed to InterACT and exerted a positive influence on readers. Martha Infante has the distinction of writing the most read blog post so far, “Month 3 as a Failing School – the Hatchet Drops.” I’m sure that Martha would trade that distinction for the option of avoiding the circumstances that led its creation. On the other hand, she tells a story that education stakeholders in California, and indeed, around the country, need to hear and understand. That post was picked up by Valerie Strauss, and reproduced on her excellent Washington Post education blog, The Answer Sheet. While that blog post found a wide audience and a powerful resonance, it was not unusual for Martha, who consistently reminds readers to view policy pronouncements with real-world perspectives. For my own part, the original intention was to follow in the footsteps of our blog-brothers and sisters in the Northwest, Stories from School, a group blog written by a group of National Board Certified Teachers and organized by the Center for Strengthening the Teaching Profession. (There is now a Stories from School – Arizona as well). However, the classroom-based blog entries have been a bit limited, replaced by the urgency I feel to counteract the current narrative in the education reform agenda. There’s a pernicious shift in the education vocabulary that we must resist, wherein words that used to mean something about learning useful content and skills have now become euphemistic ways to avoid saying that test scores are lynchpin of education reform. As we begin our next 100 blog posts, I’m sure I’ll continue writing about that issue, but I hope to expand the dialogue a bit more on other fronts as well. After all, whatever I write about in the policy arena, the point of it all is grounded what we do for students. And let’s not overlook our guest bloggers: Heather Wolpert-Gawron, Sandy Dean, Sarah Kirby-Gonzalez, Valerie Ziegler, and Leslee Milch. They each offered unique perspectives – coming from different regions, different educational settings, and different experiences – that enriched InterACT along the way. Lastly, I should point out once again that InterACT is one activity supported by Accomplished California Teachers. Our aim is to support teacher leadership and promote teacher voice in the creation and implementation of effective education policies for California. This year, we tackled the topic of teacher evaluation and produced our first policy report, “A Quality Teacher in Every Classroom: An Evaluation System that Works for California.” We brought the report to Sacramento and met with many interested legislators and their aides. The document has been included as a resource on the California Department of Education website, and has a guiding text for education roundtable meetings convened by State Senator Carol Liu. Districts large (LAUSD, OUSD) and small (Escondido, Palo Alto) have consulted the report in their ongoing examination of teacher evaluation practices. Next year, we’ll have our second policy report out, taking on the issues of performance pay and teacher career paths. Stay tuned! If you haven’t yet, why not take a moment to subscribe to our blog by using the options in the right column? You can also keep up with us on Facebook and Twitter. Thanks, and keep reading! What a rewarding experience it has been to be able to Interact with so many educators and interested members of the public from around the world. I thank all the readers who have contributed such meaningful insights, commentaries and critiques because it helps refine our core positions on teaching and learning. Thanks again!